You are able to "pre-cache" all the publications in the Library for use offline. 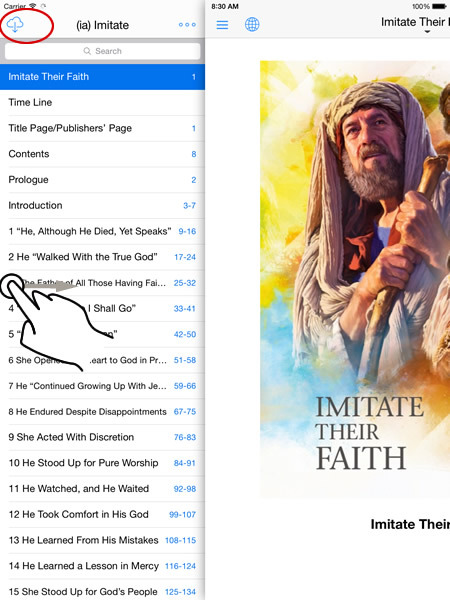 Or alternatively actually open up a publication - eg "Bible Teach" - and swipe left from the screen edge to show the chapters. From here you can also cache the book. Scroll down and select a Language - eg "English"
If something goes wrong during the download, don't worry - you can just close the window, and then click the "Pre-Cache" button again. Any chapters already downloaded will still be there - you won't need to download them again. Can you make the download faster? It is really slow. Pre-caching does takes a little while. Why? Because it is requesting one chapter at a time directly from wol.jw.org. 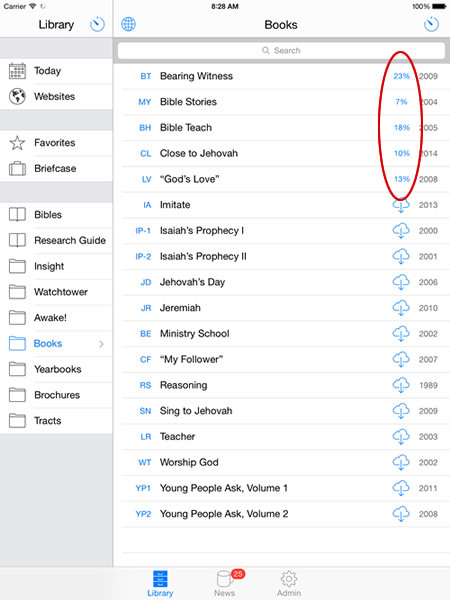 While it can be annoying that it takes so long, it is a good reminder as to how Equipd works - that it is sourcing content directly from jw.org which is our only trusted source for spiritual content. Don't worry - the time taken up front pre-caching everything will save you a lot of time later, and a lot of mobile bandwidth.